The competition lets you design your own G-Shock, base on the brand's 30th Anniversary milestone, and stand to win amazing prizes like a trip to Japan for 2, Casio Exilim cameras and Casio vouchers. Interested participants can start by downloading a blank template of the CASIO G-SHOCK G-6900 from http://www.shocktheworldsingapore.com/design_competition.php to design your own G-Shock. 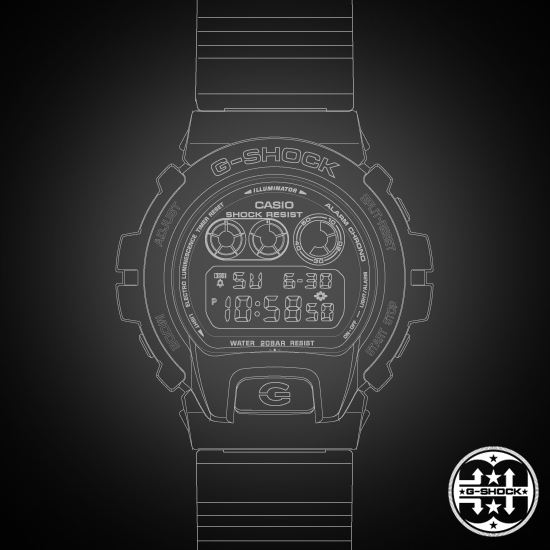 OBJECTIVE: The design should reflect the G-SHOCK brand identity of real toughness and highlight the brand's 30th Anniversary milestone. Participants may submit as many designs but only ONE entry per participant is allowed to be shortlisted for the finals.